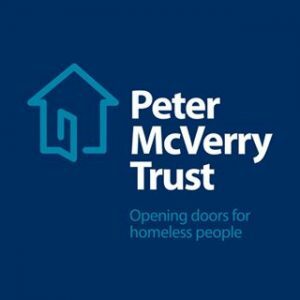 The Peter McVerry Trust has welcomed the announcement of rapid-build housing which will accommodate up to 320 people in Dublin. The Minister for Housing, Planning and Local Government Eoghan Murphy said that the two- and three-bedroom units are for homeless people in emergency accommodation. Housing, as a response to homelessness, continues to be a core objective of Peter McVerry Trust, and the organisation hopes to see rapid build housing play a bigger role in addressing homelessness in the future. Threshold acknowledged that the modular homes have been approved for Dublin, and added that what is required is broader provision of social housing, not only rapid build. On Monday 31 July 2017, the Minister approved the construction of the 70 rapid-delivery houses in Cherry Orchard, Ballyfermot (53 units) and in Rathvilly Park (13 units) and Woodbank Drive (4 units), Finglas. There will be 39 three-bedroom units and 31 two-bedroom units at a cost of €15.3million, including road infrastructure, services and community amenities. The Department said that the first units will be delivered and completed by the end of 2017 and that the project will be completed in early 2018. 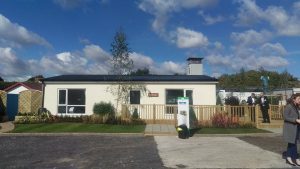 When so-called modular homes were mooted first (see catholicireland.net 16 September, 2015), Fr Peter McVerry welcomed the move. On a visit to some of the demonstration homes in Dublin, he said that the houses were of a good quality. At that time he supported the use of modular housing as “a temporary solution to homelessness” and stated that the houses would be “paradise” for any family staying in a B&B or hotel. It was expected that the homes would be in use by Summer 2016. However, as of January 2017 only a few dozen houses had been completed. A further 130 are expected to be completed by the end of 2017. * Rebuilding Ireland is the government strategy on housing and homelessness.